Rep. Tony Nwulu (PDP-Oshodi/Isolo Lagos) has urged youths to vote out politicians that are not in support of the `Not Too Young to Run’ bill come 2019. Nwulu made the call on Friday while addressing newsmen on the level of passage of the bills by states organised by the Not -Too -Young -To -Run movement in Abuja. 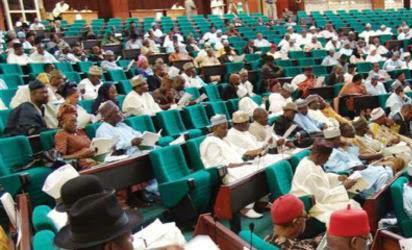 “It baffles me that a state assembly, which is Taraba, could vote against such a bill. “The truth is that the bill is not about a party neither is it about an individual politician. “It is about our nation building, it is about giving the young people the voice that they have not heard in our politics, it is also about mainstreaming the youths in today’s politics. “What grieves me is the fact that every other older politician out there goes out to lobby and ask for the support of young Nigerians during elections. “So if they are good enough to vote for you, why won’t they be good enough to be given an opportunity to also be voted for?,” said the lawmaker. According to him, any state that belittles its youths and feels that they are not able to make decisions or are irresponsible and are not capable of running its affairs are selfish. He said that this was because if politicians felt the youth were incapable of being voted for but they were capable of electing them as either governors or lawmakers then that ultimately meant that they were also products of these incapable youths. “I say this because if you were voted into power by youths who cannot make decisions for themselves as you claim, it means that you are also a product of an unsound decision,” he said. Nwulu urged President Muhammadu Buhari to pay the youths back for championing his election in 2015 by accenting to the bill, so that the young people could have a voice. Ms Cynthia Mbamalu, a member the movement, said that since the states started voting on constitutional amendments, only Taraba State House of Assembly had voted against it. Mbamalu recalled that on Dec. 20, 2017, the movement was disappointed by the Taraba legislature’s decision to vote against the age reduction. She described the act as a major setback to Nigeria’s democracy. She said that the movement had inaugurated the Taraba State House of Assembly into the “Not Too Young To Run Hall of Shame’’. She also urged Taraba youths to vote out the 11 lawmakers, who voted against the will of the people. Mr Samson Itodo, one of the conveners of the group, said that the movement was driven by the compelling need to restructure the country’s political system, to address the deeply entrenched system of political exclusion. Itodo said that it was also championing the inclusion of youths to institute inclusive politics, transformative leadership and electoral competitiveness in the electoral process, and address political inequality and social exclusion. He said that the passage of the bill by the states would no doubt enhance the quality of Nigeria’s democracy and show that Nigeria was a country that believed in its youthful population. The post Lawmaker wants youths to bargain with `Not Too Young to Run’ bill appeared first on Vanguard News.